A personalised wheel cover protect your tyres from the sun with a waterproof heavy duty UV stabilised cover. 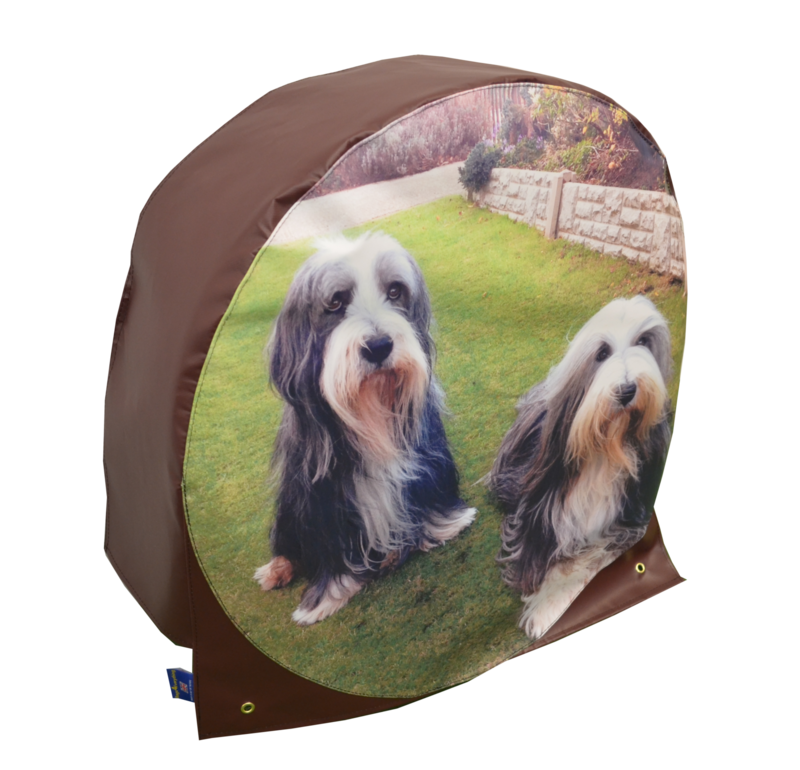 We can make you a personalised wheel cover, simply email us with your favorite photo. This is made of our strongest PVC material. Protect your tyres from the sun with a waterproof heavy duty UV stabilised cover. Will fit the largest caravan and some motor home wheels as they are elasticated on the rear side. It is cheaper to buy a cover than replace the tyres. Comes with eyelets to peg down. UV stabilised heavy duty 560 grams U/V resistant High Tenacity Polyester Plasticized PVC fully waterproof material. Our STRONGEST material used for our Tow Hitch Covers/wheel covers/trailer covers etc. Designed for outdoor use.